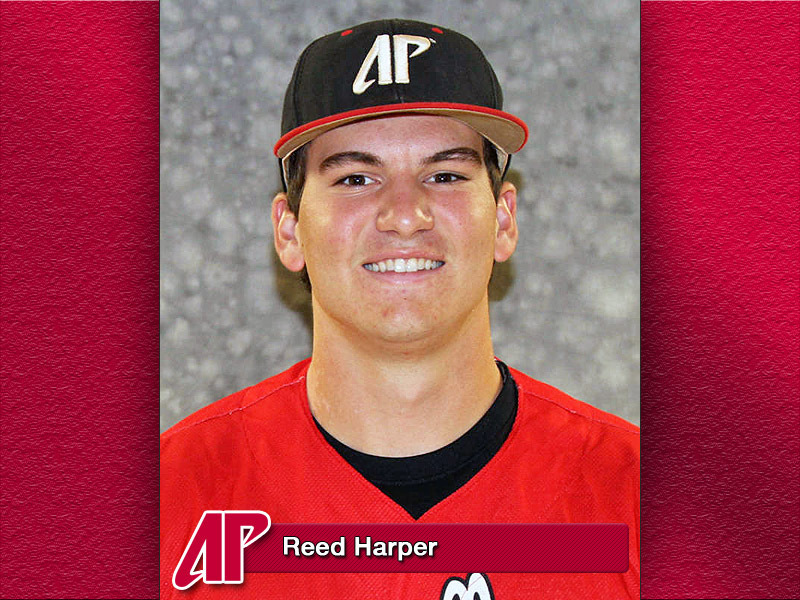 Brentwood, TN – After hitting .632 and leading the Austin Peay State University baseball team to four victories last week, senior shortstop Reed Harper has been named adidas® Ohio Valley Conference Player of the Week, the conference office announced Monday. The Clarksville native posted a multi-hit outing in all four contests last week, going 12-for-19 overall. He opened the week by going 2-for-4 with an RBI double in the Govs final regular-season mid-week game at Memphis. In the final home weekend of his Austin Peay career, Harper opened the SIU Edwardsville series against SIU Edwardsville with a 5-for-6, three-RBI outing that included two doubles and a sixth-inning, two-run home run en route to a 20-2 victory for the Govs. The Cougars wisely walked Harper on two occasions during Friday’s Game 2, but he still managed a 2-for-3 outing with a home run and four-RBI stat line. On Senior Day, he went 3-for-6 as the Govs completed their series sweep with a 16-5 victory. Harper’s recent efforts – he’s 24-for-38 over the last nine games – have put him at the precipice of one of Austin Peay’s most hallowed offensive records. He’s now just two hits away from breaking the all-time career hits record of 276, set last year by Greg Bachman. This is the second weekly honor for Harper in 2013; he won the April 1st award after hitting .333 with seven RBI against nationally-ranked Mississippi State and Murray State. It’s also the third consecutive week an Austin Peay batter has won at least a share of the conference Player of the Week honor – junior Craig Massoni shared the honor with Morehead State’s Kane Sweeney two weeks ago and with SIU Edwardsville’s Joel Greatting last week. Massoni still leads the team with three weekly honors in 2013. With his second award, Harper tied a pair of fellow seniors, outfielder Cody Hudson and closer Tyler Rogers, who also have two honors in 2013. Senior Casey Delgado also has been honored once this season. All four Governor seniors have at least one weekly OVC honor to their credit in 2013.